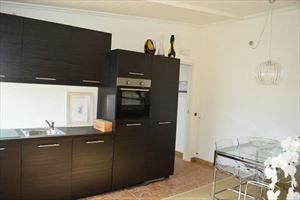 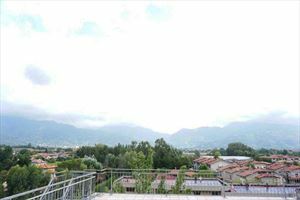 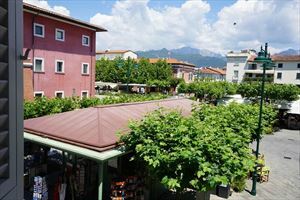 Real estate Forte dei Marmi: modern and luxury flat for rent is located in the heart of Forte dei Marmi, nearest the seaside. 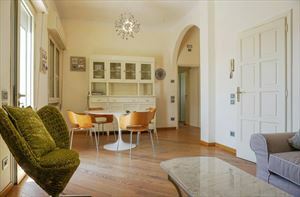 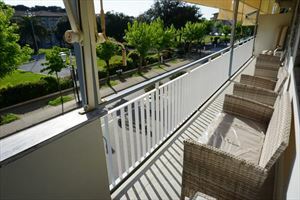 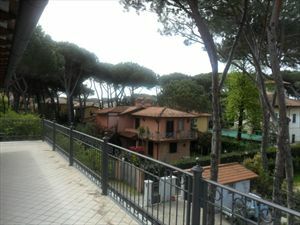 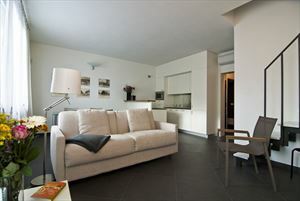 This modern and luxury flat for rent is located in the heart of Forte dei Marmi, nearest the seaside. 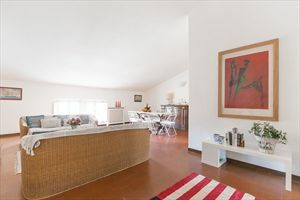 It has got own private entrance from one of the main street of Forte dei Marmi,and it appears with its charming sun terrace(using as external dining room) that it is the introdution in the interior home. 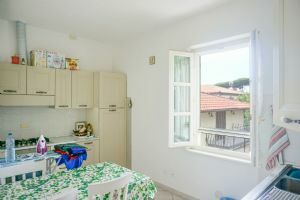 Real estate is developped on only one level,on ground floor,where there are a large saloon with sitting and dining rooms,a kitchen full-equipped. 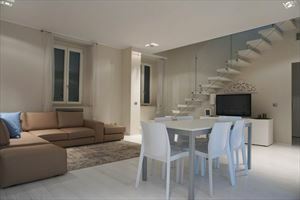 In the night side, there are 2 double bedrooms, 2 nice bathrooms. 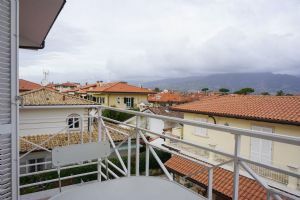 This luxury flat is in the middle of the summer turistic life of the town,but in the same moment,complety isolated in a quite space.